Get notified when Belk Bowl tickets are available! 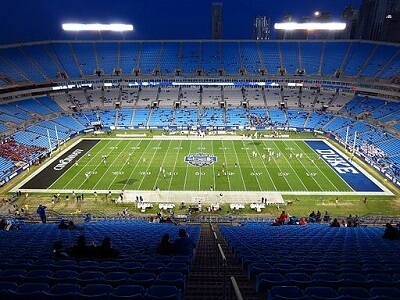 The Belk Bowl is a college football bowl game played once a year in Charlotte, North Carolina, at the Bank of America Stadium. In 2011, Belk, a Charlotte-based department store, took over the sponsorship for another six years, through 2019. The bowl now will feature the 2nd choice from the Southeastern Conference along with the 2nd choice from the Atlantic Coast Conference once the College Football Playoff is over. If you want to be a part of the game, you can get your own Belk Bowl tickets above to ensure you aren’t missing a second of the action.